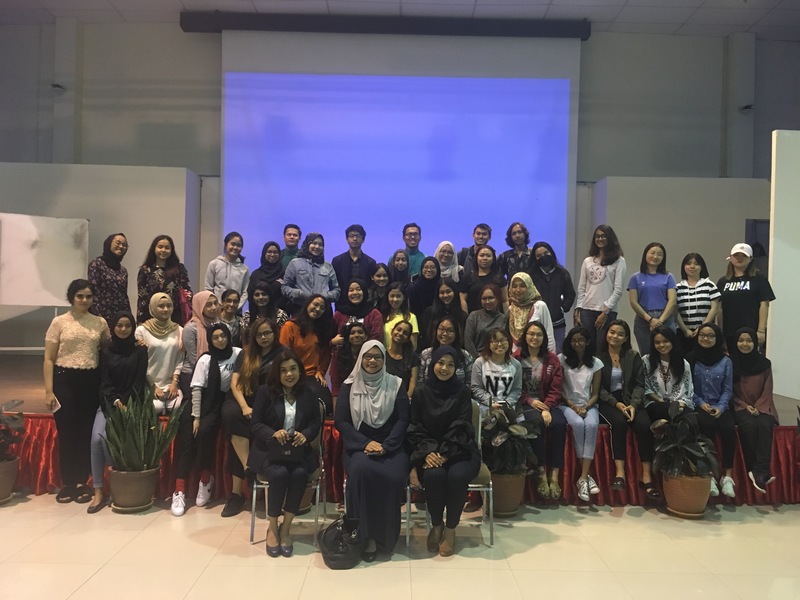 A total of 45 students from Foundation in English (FIE) attended a talk entitled ‘Writing for New Media’ at Multipurpose Hall recently. The talk was independently organised by the Faculty of Applied Communication (FAC) with its objective of providing students with a clearer concept regarding the new media in general as well as to train them on transmitting information effectively in the form of writing particularly on new media platforms. The talk was presented by two invited speakers; Mdm. Zairulliati Mali, the Assistant Director of Strategic Planning and Communication department at Energy Commission Malaysia (ST) together with Mdm. Sueharti Mokhtar, the Senior Assistant Director of the similar department and organisation with the latter. 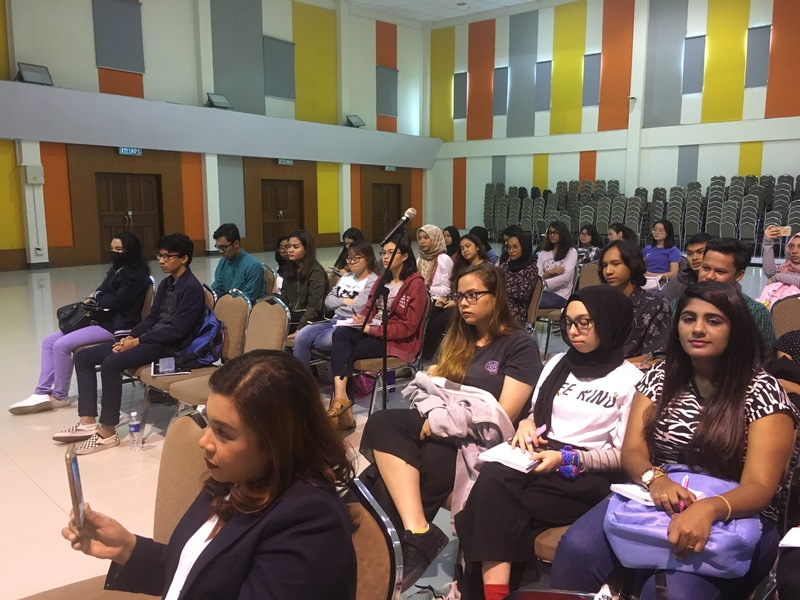 During the talk, both speakers took the turn on sharing with the audience regarding their career experiences and explaining on how pivotal the new media is in the present-day in terms of transmitting information, receiving feedbacks, and promoting a certain campaign. Meanwhile, Mdm. Zairulliati Mali mentioned that the preciseness of a message and its effectiveness correspond as people are apt to ignore lengthy messages. Apart from that, Mdm. 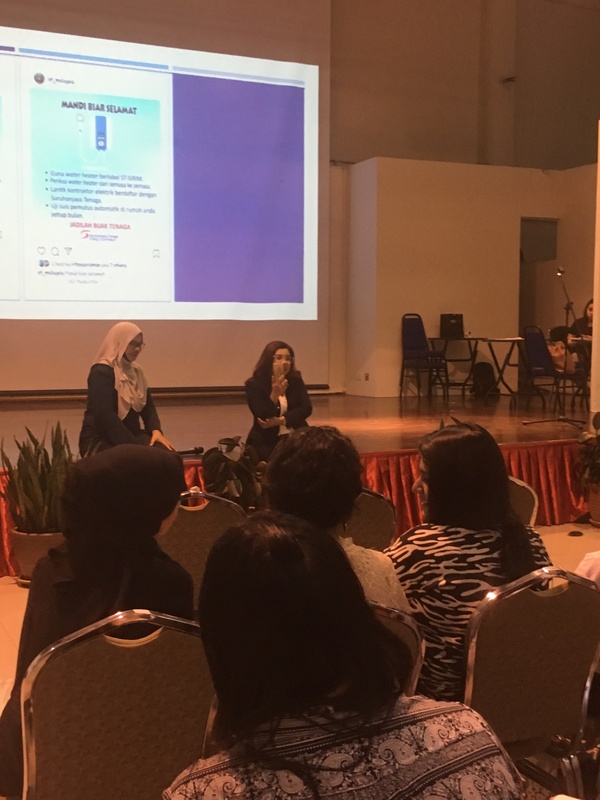 Sueharti Mokhtar stressed on the importance of graphics in digital communication by presenting a few examples of her organisation’s campaign posts to the audience. The talk ended with an engaging ‘Q & A’ session where students began raising questions and giving feedback on the campaign posts.